Sahali Centre Mall is having a FALL FESTIVAL. 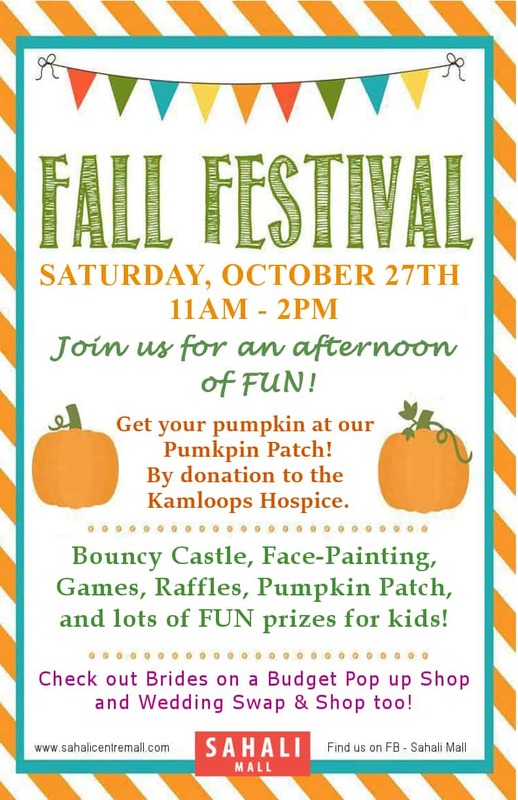 Visit the Pumpkin Patch on Saturday October 27th from 11am – 2pm. All pumpkins purchased by donation, proceeds go to Kamloops Hospice.